Thirty years later, the food industry is on a boom, with niche regional restaurants and festivals almost becoming a fashion. 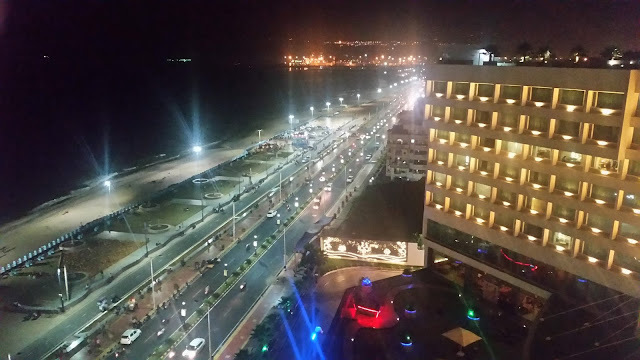 The Hyderabadi food lovers are finally waking up to tastes other than biryani. But still, in this mad scramble there is hardly any place showcasing the brilliant food from this state, which until a couple of years back was our neighbour. Against this backdrop, The Park at Somajiguda brings to us Odia Bhoji, perhaps the first Odia food festival in Hyderabad. The festival is the result of close collaboration between Chef Mandar of Park, Food Blogger Swati Sucharita and Chef Bibhu Bhatta of IIHM Bhubaneshwar. 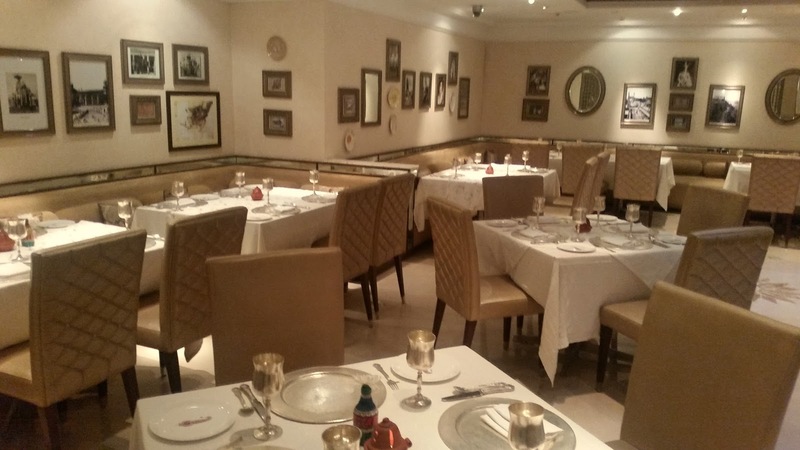 For around twelve days, Aish, the Indian restaurant at The Park will serve delicacies from the land of sun and seas, in form of a sumptuous thali for lunch and a buffet spread for dinner. At a Blogger and Media meet organized on the eve of the festival, we were served a smooth lime and jaggery based welcome drink. The menu for the buffet had about twenty items, with delicacies from all over the state. I was familiar with some, whereas few were absolutely new to me. We started the preview with Dahi Bara Aloo Dom, a snack which needs to introduction. 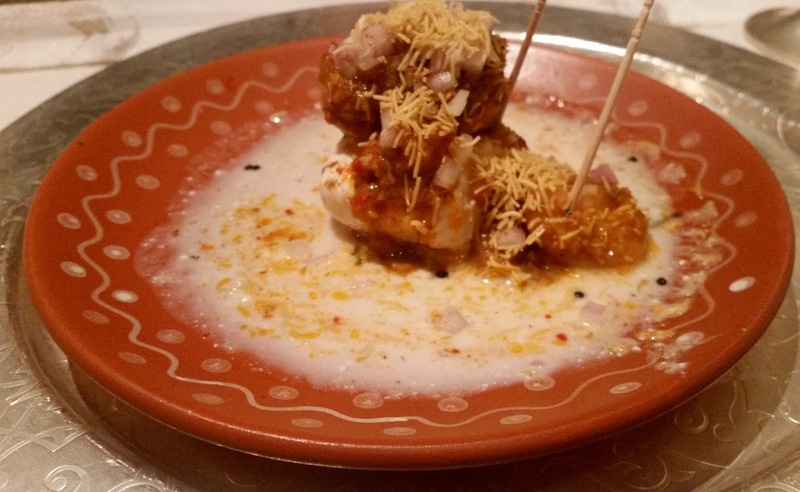 The signature chaat of Odisha had the familiar dahi bara and potato in a spicy masala presented in a very inviting way. The preparation was so good that a repeat helping was unanimously requested – for me the alu dom specially stood out. Among the other snacks served were Chingudi Bara (minced prawns and rice flour fritter) and Mangsho Chop (fried mutton mince and mashed potato balls). 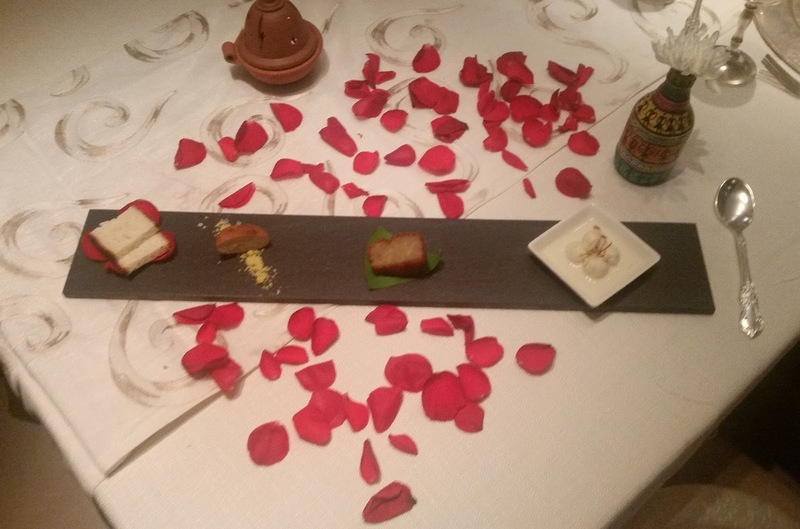 Chef Mandar served a dip with them, which was an unconventional combo of tomato and kasundi, and I quite liked it. Manda pitha is very popular in Odisha and Sijha Manda, or steamed rice flour balls were served here with a twist. 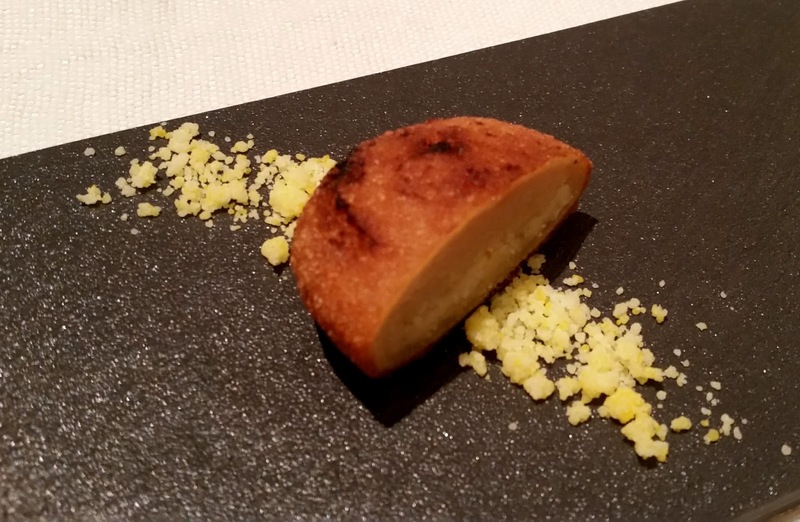 The filling here was of chhena and moong dal, and the twist was that it was namkeen instead of mitha. At this stage, we had a detailed discussion with Chef Bhatta, who has wide experience in curating food festivals. 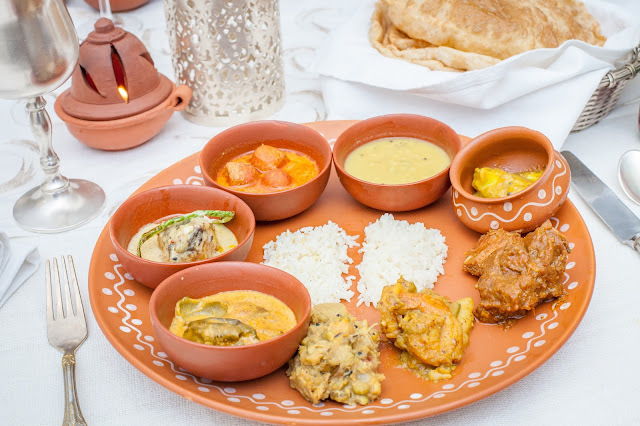 As per Chef, Odia cuisine varies significantly across the state; while in Balasore, there is a perceptible similarity with Bengali food, the dishes of Ganjam are almost like Andhra preparations. At this stage he presented a dish called Patala Ghanta Ambil. Patala ghanta is the local name of tomatoes in Sambalpur. This dish was a tomato, coconut milk and mustard broth from that area. This was a perfect example of balance in Odia food which I talked about earlier, with all the flavours present and none overwhelming the other. The broth had some chopped radish and okra in it, and as someone among us pointed out, had a distinct similarity to Thai curries. I hope this delicate dish finds its place regularly in the festival menu. Chef Bhatta told me that this ambil (or sour dish) is usually savoured with lentil fritters. Over to the main courses then, and here most of the dishes were excellent. I started with Thunka Puri and Chhena Tarkari. 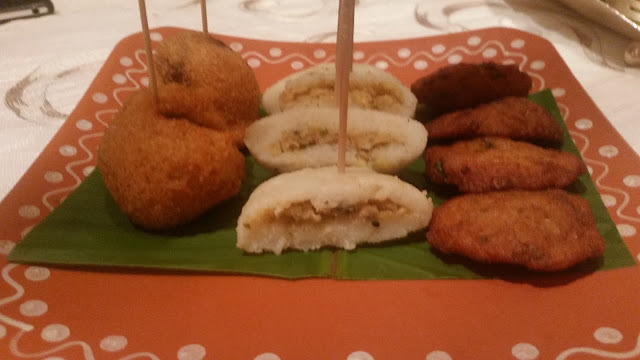 The puris were huge, and one was good enough to try out three different dishes. 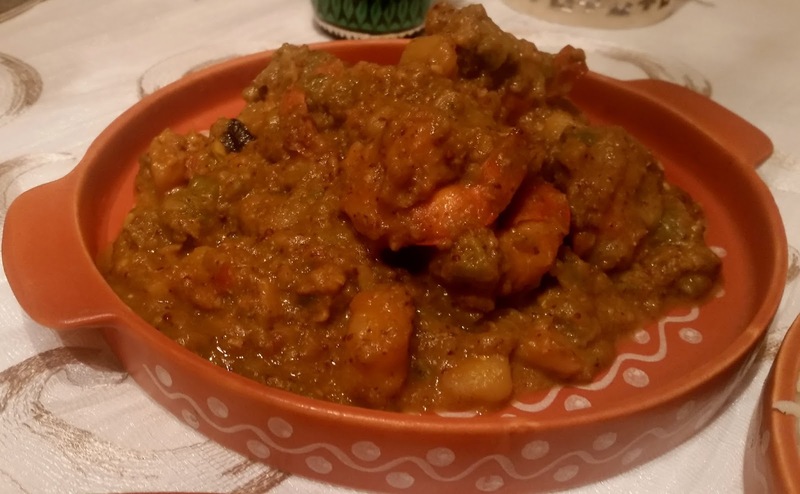 The Chhena Tarkari tasted pretty similar to what we prepare at Bengali homes. 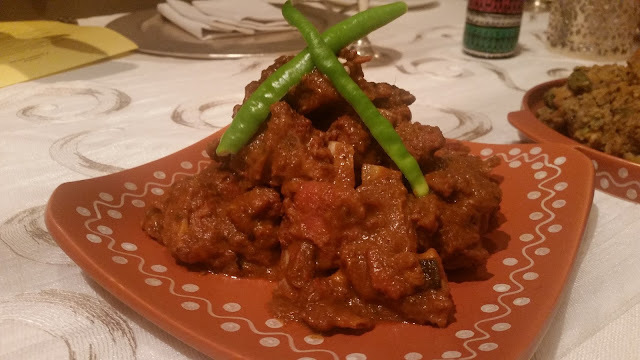 The Mangsha Kassa was a standout dish for me, with the aromatic flavour of the spices and the mutton cooked just to perfection. It did not have the slightly sweetish tinge of its Bengali counterpart. The third dish which went well with the fluffy puri was Potola Rossa or parwal curry. The kassa was a hit with Ghia Arna too, a ghee rice preparation from the temples. The Dahi Maccha (Rohu fish in a light but tasty curd and mild mustard flavoured curry) was another unlikely pairing done by me with this. The other rice preparation was simply called Oriya; it was a rice and moong dal preparation with a little touch of asafoetida. However, for me, most of the dishes seemed to be a better fit with plain vanilla steamed rice. The Badi Chura (dried lentil dumplings, fried and crushed), Ghanta Tarkari (a fabulous mixed veg preparation) and Mandira Dali (again a temple recipe, this time, toor dal with a dash of hing) were some of these. Janhi Chunguri which had ridge gourd and prawn prepared in panchphoron (a spice mix consisting of five spices), also worked well for me. A fan of mushrooms, I simply loved Chatu Rai, a mustard based mushroom preparation which had a lot of zing in its taste. A special mention needs to be made of Oau Khatta, an elephant apple (chalta in Bengali) based sour chutney which worked as a palate changer for me. For a person like me who is not very fond of desserts, the meal would have normally ended here. But this was not the case today as some of the chhena sweets served brought back childhood memories of my frequent travels to Sri Jagannath dham with my parents. The Kheera Gaja and Kakara Pitha were both delicious. 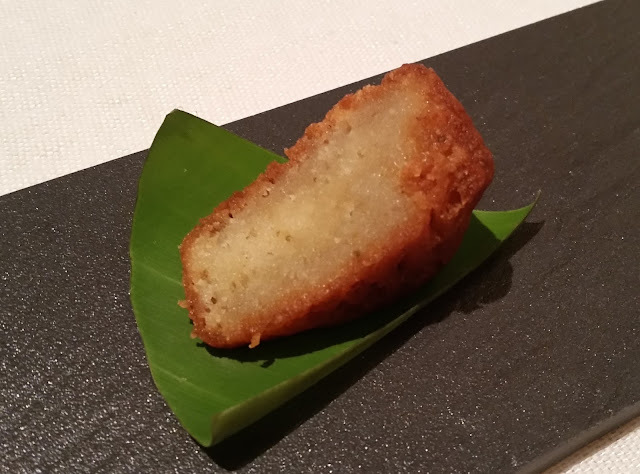 The Chenna Poda did not look its part, the burnt look and flavour was missing in it. 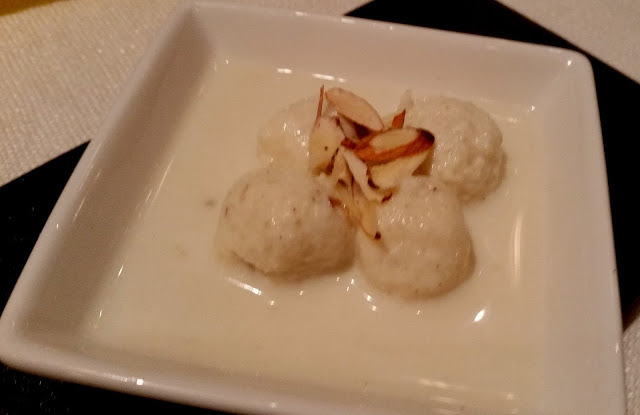 The Khirsagar or rasmalai equivalent with baby rasgollas had a decent taste. Overall, a brilliant meal with a lot of items hitting the bull’s eye. One needs to admire the curation of the buffet – the items were chosen in such a way that it presented the myriad of tastes across the state. 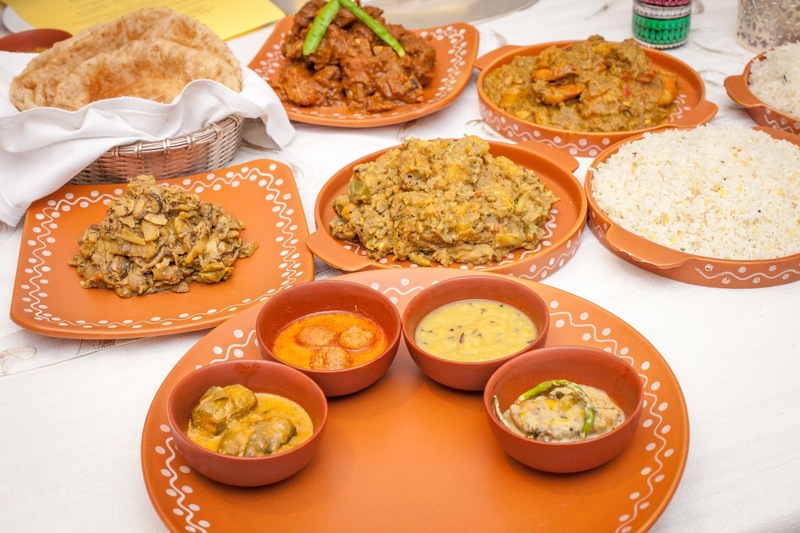 I missed some signature dishes like Dalma, Kanika, Pakhala Bhaat and Pahala Rasogollas but I was assured that some of them would be accommodated in the menu of other days. 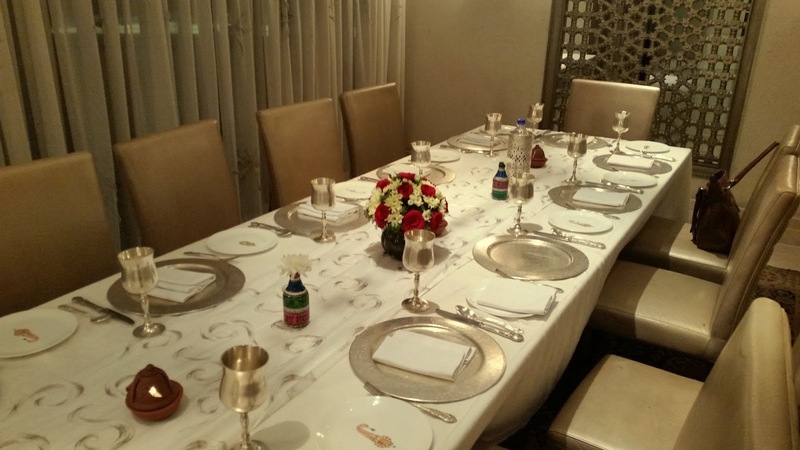 The Thali served at lunch is priced at Rs 799 (plus taxes) and the buffet dinner at Rs 1099 (plus taxes). 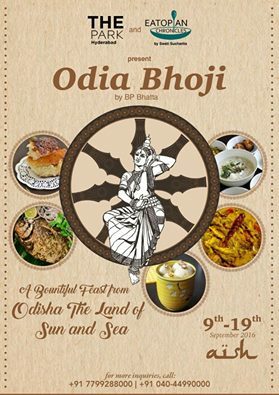 For the large Odia population of Hyderabad, it is an opportunity to taste some of the delicious preparations from their roots. Other food lovers should avail this chance to try out this often underrated but sublime cuisine. The festival is on till 19th September.